BUMPER is a long life bumper & trim restoring gel. You can restore faded bumper to like new in seconds due to its fast acting formula. FAST WAX is an easy to use no streak wax. 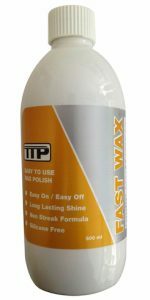 Guaranteed to bring a deep shine to paintwork on new or old vehicles. 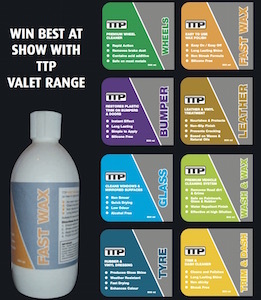 GLASS is ideal for valeting due to its fast dring time. Because it polishes glass and mirrors without any streaks you can be confident of perfect results every time. 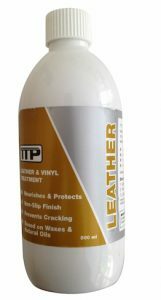 LEATHER is a high end nourishing creanm and conditioner for leather. Based on waxes and natural oils LEATHER leaves leather with a pleasant ‘new’ aroma. TRIM & DASH restores tired looking plastic trim and vinyls to almost new condition. Enthusiasts favour this restorer due to its non skicky formula. TYRE will enhance the colour and shine of tyre rubber. You will achieve a deep natural weather resistant shine due to a unique blend of solvents and silicones. WASH & WAX is a superb vehicle shampoo and wax. Effective at high dilutions. You will leave a water repellant finish on your paintwork. WHEELS will quickly remove brake dust and grime. 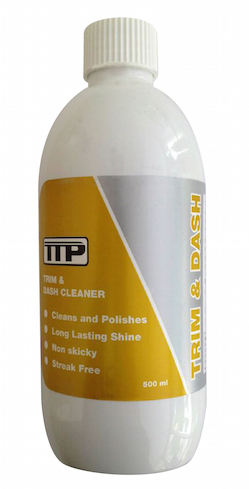 This acid based wheel cleaner will leave your alloys as new.